Neurological disorders affect the brain as well as the nerves found throughout the body and the spinal cord. These three parts of the body work together as the nervous system to control everything in the body. If something is not functioning correctly within one of these components, it can lead to difficulties learning, breathing, swallowing, speaking and moving as well as problems associated with mood, senses or memory. There are several common neurological disorders introduced here. 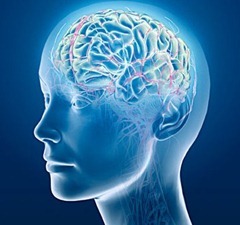 In total, there are over 600 different neurological disorders, which can be classified into different groups such as infections like meningitis; cancer like brain tumors; seizure disorders like epilepsy; damage to the brain or spinal cord; diseases that affect blood vessels which supply the brain like a stroke; degenerative diseases in which the nerve cells die or become damaged including Alzheimer’s and Parkinson’s; difficulties in the development of the nervous system like spina bifida and diseases that are due to faulty genes including muscular dystrophy and Huntington’s disease. Meningitis and encephalitis are due to viral or bacterial infections which cause inflammation of the membranes surrounding the spinal cord and brain. In some cases the term aseptic meningitis is used to refer to viral meningitis as this indicates its origin and therefore the fact that it cannot be treated using antibiotics. Some symptoms of encephalitis are irritability, unsteady and clumsy gait, weak muscles, drowsiness, impaired judgment and confusion, stiff back and neck, increased sensitivity to light, vomiting, headache, and sudden fever. There are also possible symptoms that can require emergency care including sudden severe dementia, muscle weakness, seizures and loss of consciousness. Early treatment is essential for reducing the risk of serious problems such as death. Epilepsy is a disorder in the brain which causes seizures when clusters of neurons found in the brain give the wrong signals. It can lead to violent muscle spasms, loss of consciousness, strange behavior or strange emotions and sensations. While in some cases, the cause of epilepsy isn’t known, there are several possible causes such as abnormal brain development, brain injury and illness. Because of the nature of the disorder, doctors diagnose it using brain scans. Although epilepsy doesn’t have a cure, medications can usually control the seizures. When they are not effective, implants like vagus nerve stimulators or surgery may work. In some cases, special diets can reduce the symptoms in children. Spinal cord injuries typically begin with a traumatic and sudden blow on the spine which dislocates or fractures the vertebrae. The damage occurs at the same time as the injury itself as the displaced ligaments, bone fragments or disc material will tear into or bruise the tissue of the spinal cord. In most cases, these injuries will cause compression and fractures of the vertebrae instead of severing the spinal cord. When this occurs, the process destroys some, many or nearly all the axons which are the part of nerve cells which bring signals between the brain and the body via the spinal cord. Because of the variation in damage to axons, some spinal cord injuries can allow for near complete recovery while others will lead to complete paralysis. A stroke is when either a blood vessel found in the brain bursts which spills blood into the areas around the brain cells or the blood supply to an area of the brain is interrupted suddenly. When there is bleeding around or into the brain or the brain cells lose blood, they will die due to the lack of nutrients such as oxygen. A stroke can be accompanied by many symptoms including severe headache without a known cause; sudden loss of coordination or balance or difficulty walking; sudden difficulty seeing in one eye or both; sudden trouble speaking or confusion understanding speech; sudden weakness or numbness, typically on one side. If you experience any of those symptoms, you should go to a hospital immediately. Parkinson’s disease (PD) occurs when brain cells that produce dopamine are lost and usually only affects those older than 50. Because there is no lab test for the disease, doctors must rely on a neurological examination and family history. The primary symptoms include tremors in the face, jaw, legs, arms or hands, bradykinesia (slowness of movement), stiffness or rigidity in the trunk and limbs and postural instability (impaired coordination and balance). Advanced symptoms may include difficulty talking, walking and finishing other simple tasks. Although there are medicines that provide relief from its symptoms, PD has no cure. Spina bifida is a birth defect that affects the spinal cord, brain or spine making it a neural tube defect. It occurs when the fetus’s spinal column doesn’t completely close when the pregnancy is still in the first month and this in turn damages the spinal cord and nerves. Although the cause of this disease is unknown, folic acid during pregnancy can reduce the baby’s risk of developing it and the disorder does tend to run in families. Therefore women are advised to take folic acid during pregnancy. Although most people who have spinal disorder will have normal intelligence, some may develop learning difficulties, hydrocephalus or bowel and urinary problems. Others may require wheelchairs, crutches or braces. Huntington’s disease (HD) is a genetic based disorder that occurs due to the brain cell degeneration that is genetically programmed. This degeneration targets the neurons in specific parts of the brain and can lead to emotional disturbance, a decrease in intellectual faculties and uncontrolled movements. Because it is genetic, a child of a parent with HD has a 50-50 risk of inheriting the gene. In the early stages, symptoms of HD include trouble making decisions, remembering facts, learning new things and driving as well as irritability, depression and mood swings. When it becomes more advanced, it becomes much harder to focus on intellectual tasks and can lead to problems swallowing or eating by oneself. Although some medications can control several of the symptoms, there is no cure for the disease.